How Far is Abhilash Anand Arcade? Abhilash Anand Arcade is one of the popular residential developments in Madhurawada, neighborhood of Visakhapatnam. It is among the ongoing projects of its Builder. It has lavish yet thoughtfully designed residences. The Foundation of ABHILASH SYNERGETIC CONSTRUCTIONS PVT.LTD extends back to 1987, to the vision and dedication of its founder Sri. P. Anand Kumar (C.M.D.) a pioneer who is totally committed to quality, both in terms of product as well as service. 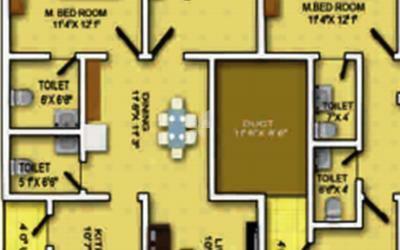 We have a vast experience of 14.5 lakh sq.ft. Built up space and have created over 1350 happy customers. Abhilash Synergetic Construction and Exports Pvt. Ltd. occupies place of pride among the top builders in the city of Visakhapatnam. We are pioneers in setting standards in developing properties with visualisation of future developments. Our mini township “ANAND NAGAR” in P.M.Palem was the first project in the suburbs with future visualisation of IT & Infrastructure developments way back in the year 2003 which set path for such kind of developments at Madhurwada. Our strengths we believe lies in our well-planned project management and our long experience in the building industry. Experience that's hard to match - 27 years of adaptation to a variety of challenges including tight deadlines, pressures on space, exacting building laws and specifications, technological developments and evolving customer requirements. We have succeeded in putting our client’s interests first on each and every project and have left no stone unturned in living up to our reputation, of delivering more than the promised. As a part of construction activity, Abhilash Construction conducts seminars and advertises about creating the “Vision and Awareness” about the growth of Vizag.